The Nutating Shaker gives you the same convenient, consistent 3D shaking on your bench top as you get with our 3D Floor Shaker. 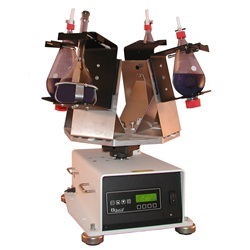 ·Mechanically shakes glassware for consistent, repeatable results. 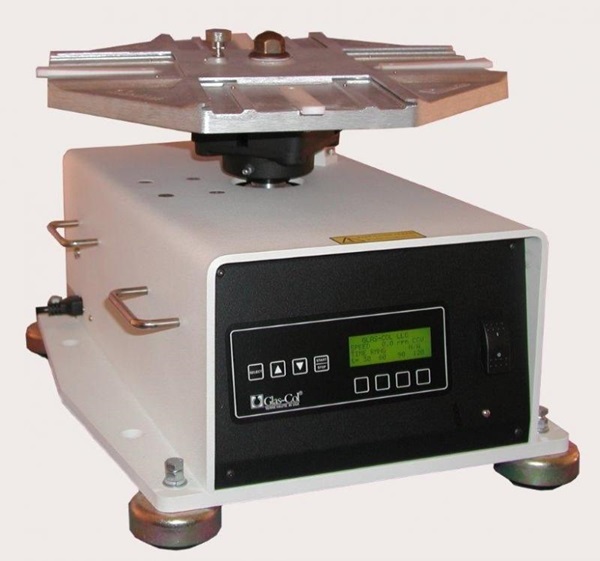 ·Fits in fume hood to protect personnel from fumes. ·Handles total loads up to 40 lbs without needing to balance load. ·"Lazy Susan" design allows 360° rotating of platform for easly loading and unloading. ·Platform locks in place for added safety. ·Accommodates up to four 2-liter separatory funnels. 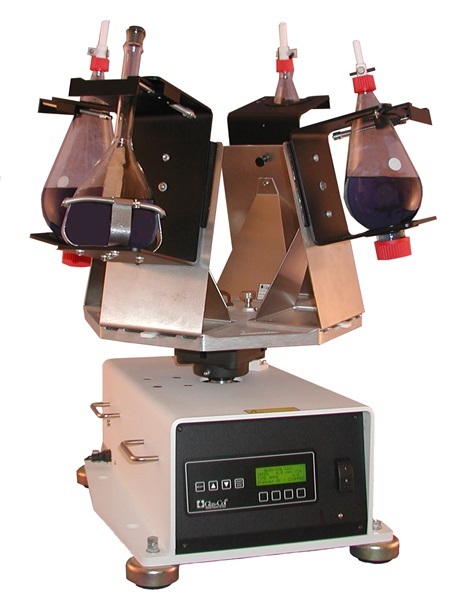 ·Fits in fume hood to protect personnel from fumes. (Minimum 30"d x 36"l x 36"h for both 1 & 2-liter sep funnels). Load Weight Capacity: Maximum of 40 lbs. Electrical Rating: Power switch, circuit breaker, and 6-ft., 3-wire cord. Digital speed and countdown interval timers. Shaker base dimensions: 22"d x 17"w. Height to platform 14". Octagonal platform-19" across corners. USB: Port can be used with LabNetix software.